Here we see the same monastery with impossible stairs from Escher's lithograph "Ascending and Descending". But in this case we observe the construction from the bird's eye view. 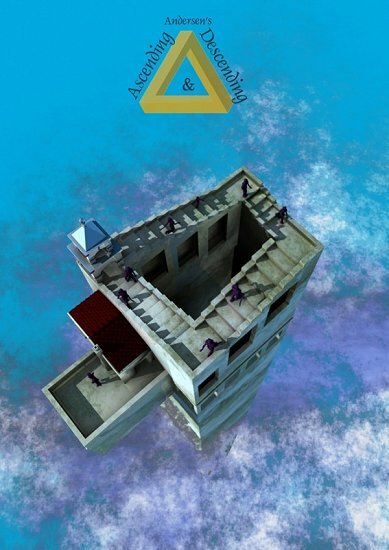 See also rendering of Escher's "Waterfall" by Tom Andersen. Other artworks by Tom Andersen http://tomandersen.cgsociety.org.